The US Senate’s top war hawk was joined by the head of the Senate Foreign Relations committee in questioning the Obama administration’s commitment to a 21st Century Nuclear Arms Race. On Monday, Senate Armed Services Chair John McCain (R-AZ) and Senate Foreign Relations Chair Bob Corker (R-TN) released a letter to the Obama administration calling for the United States to maintain its commitment to expanding and upgrading the country’s nuclear arsenal, a move seemingly at odds with the nuclear nonproliferation treaty. The two Republican senators expressed concern with President Barack Obama’s near apology in Hiroshima last month, as well as White House Deputy National Security Advisor Ben Rhodes recent commentary at an Arms Control Association that suggests a departure from America’s aggressive foreign policy posture. "We are concerned Mr. Rhodes’ comments may presage efforts, such as a rumored Blue Ribbon panel, to review the modernization program you promised to fund for as long as you are president, which would obviously contradict your personal promise to the Senate and military necessity," read the letter, written on June 17. 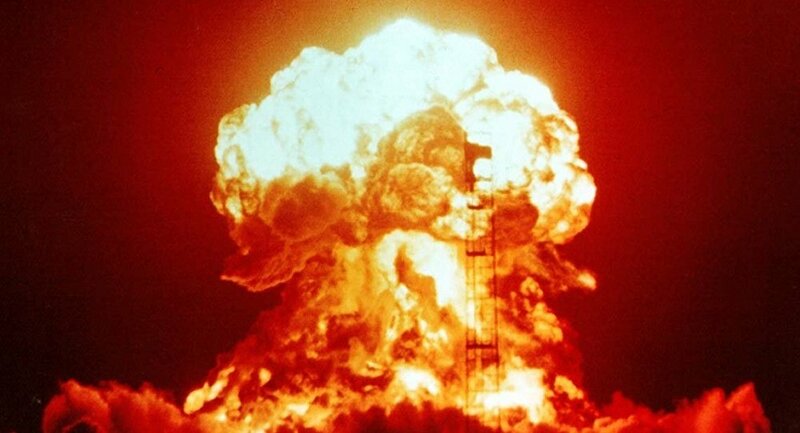 The nuclear "modernization" plan is projected to cost in excess of $350 billion over the course of the next ten years, and will lead to a massive increase of America’s atomic arsenal. The modernization effort will see the US Air Force acquiring 1,100 new Long Range Stand-Off (LRSO) nuclear-armed cruise missiles and a spate of advanced intercontinental ballistic missiles (ICBM) that officials believe will be able to penetrate anti-ballistic missile shields. The US Air Force is not the only military service that will see an expansion in stockpiles. The US Navy will also acquire scores of upgraded Trident submarine-launched ballistic missiles under the program. During his visit to Hiroshima, Japan, President Barack Obama called for a "world without nuclear weapons." Ben Rhodes similarly suggested that the Obama administration would look to decrease the nuclear stockpile, seeking only to "maintain a credible deterrence that can sustain itself in the coming decades." Andrew Weber, a former Obama administration official who served as the assistant secretary of defense for nuclear, chemical and biological defense programs, also cautioned against increasing the US atomic stockpile. He cited excessive costs and the unnecessary power of some US nuclear weapons. The US B83 gravity bomb, for instance, has a yield of over one megaton, roughly 75 times the catastrophic yield of the Hiroshima "Little Boy" bomb that killed nearly 150,000 Japanese civilians. "It has no legitimate use today," said Weber at the Arms Control Association conference. "We don’t need nuclear weapons in the megaton plus range of yield." Senators McCain and Corker disagree with this assessment, calling for a flood of new taxpayer dollars to acquire more nuclear weapons with greater yield. A recent poll shows John McCain losing his reelection bid for a sixth term in the US Senate to upstart Democratic Congresswoman Ann Kirkpatrick by two points, signaling that Arizona voters no longer care for the war hawk’s apocalyptic foreign policy agenda.